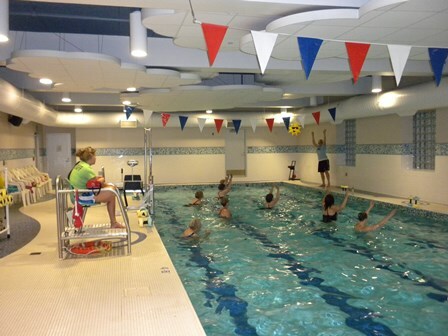 The City of East Grand Rapids operates two aquatic facilities: the High School Pool and the Wealthy School Pool. The High School Pool is a 14 lane competitive pool primarily used for varsity sports, recreation classes, open swim and lap swimming. The Wealthy Pool is our warm water pool, shallow bottom pool primarily used for adult exercise, youth swimming lessons and family time. *Those needing an ADA assessable entrance - please contact the Rec Dept for instructions.